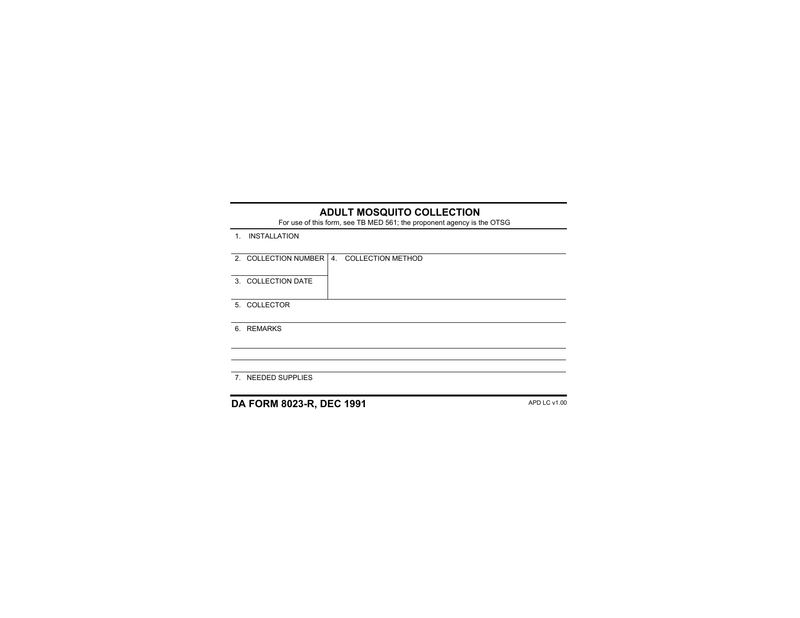 Download DA Form 8023-R, also known as Adult Mosquito Collection. This is part of the United States Army’s pest surveillance program. This is a small form that is goes with the specimen for testing. Step 2 – Once the form is completed and the specimen(s) is/are collected, keep the completed form with the specimen through the testing process.